Norwell provides residential architecture and construction services for new homes, remodeling, and additions for clients throughout the San Francisco Peninsula. The company’s approach allows each client maximize the potential of their home with thoughtful and innovative designs. Norwell offers a single point of responsibility from concept to completion. Design Build General Contacting Company. Marcus Dalton Design is a design firm that focuses on providing a quality experience for our customer. In construction, homeowners often have little experience with the process or find the language barrier of construction vernacular too large to overcome. We don't think of design as a commodity. We respect our clients and know that it takes trust to have someone come into their home. We do not provide estimates without a phone conversation or a meeting in person. We know that this may detract some customers, but we want to make sure each of our customers get that personal touch they deserve. Why not create a great space? Why not create a great design? Make it worth the effort. We are your guides through this process. How fun to wake up or work in inspiring spaces. We are all about pleasing our clients and meeting their needs. We place a high priority on finding out the needs of the client and creating a great design solution that they are excited about. Each project is individually tailored towards the client's personality and aesthetic, ensuring that their expectations are exceeded. We enjoy transforming spaces into well functioning and aesthetically pleasing places- capturing the unique nature of their site. We provide a range of services from residential to commercial. We love providing 3d computer modeling services that allow the client to see what the project will look like and help the contractor understand what they are to build. Go to Youtube under 'Kurt Useldinger' to see our videos. Call us today, we'd love to talk about your project.! San Francisco Bay Area Design Build Firm | 7x Best of Houzz! 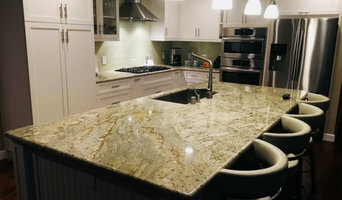 Michael Meyer Fine Woodworking was founded in 1988 to offer general contracting and custom cabinetry expertise to discriminating homeowners in the San Francisco Bay Area, providing high quality craftsmanship in harmony with the environment. Your one stop home remodeling shop. The company, which has grown to more than 20 employees, works with a network of local subcontractors to provide a seamless project experience, from design through completion, all under one roof. Our team takes pride in exceptional standards of excellence, attention to detail and personalized service. As a general contractor we provide residential & commercial construction, additions and remodels. As a custom cabinet shop our skilled craftsmen build high quality custom cabinets and fine furniture for every room of your home or business. With us the possibilities are endless. Design-build firms take on the responsibilities of architects, contractors and construction companies, all under one roof. These full-service firms focus on a streamlined design-build process — from the initial design to the estimating phase to physical construction — in the hope of creating an efficient experience for both the client and the company. Because the entire project is happening within one company, Menlo Park design-build firms are able to overlap the design and construction phases of the project, which often speeds up the project significantly. In addition, these firms work to minimize risks for the project owner through single-point responsibility contracts. However, depending on the firm, you may still want to contact an interior designer or architect to help create the exact look you want. Here are some related professionals and vendors to complement the work of design-build firms: Interior Designers & Decorators, Landscape Architects & Landscape Designers, Architects & Building Designers, Photographers. Before deciding on a residential design-and-build company in Menlo Park, CA, think about what you want from your new home. Do you want a large kitchen for entertaining? Do you need several bedrooms for children and guests? Do you want a finished basement for extra space or storage? 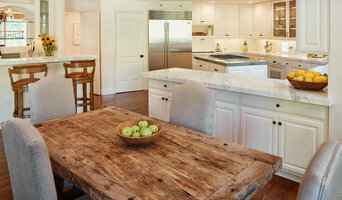 Look for Menlo Park design-builders that specialize in the areas you're looking for. Budget is obviously a determining factor in the outcome of your project. To make sure you stay within your means, consider making a must-have list and a wish list. Gauge where the estimates are falling to determine which design-build contract can realistically strike the balance between the two. Find a Menlo Park design-build company on Houzz. Narrow your search in the Professionals section of the website to design-build firms in Menlo Park, CA. You may also look through Menlo Park, CA photos to find a pool you like, then contact the design-build firm that created it.